In the 1880s, John Henry Skinner established J H Skinner & Co. In 1895 the publication Hobbies Weekly was launched. This promoted a wide range of hobbies to an eager readership and led to a massive increase in business for J H Skinner & Co.In 1897 Hobbies Weekly and J H Skinner & Co amalgamated to form Hobbies Ltd which became a legend. Rapid expansion followed with retail shops in many major cities. 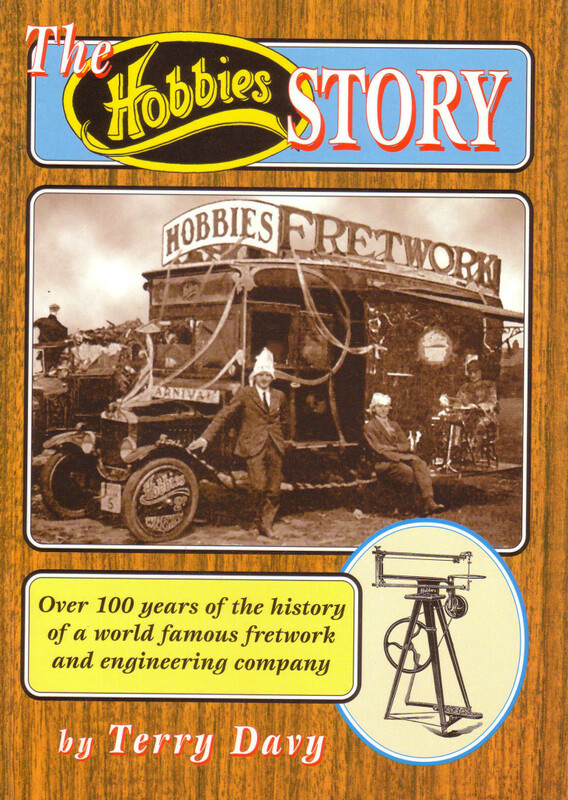 Before long Hobbies Ltd became the largest manufacturer of fretwork tools and supplies in the world. Generations of fretworkers purchased designs and materials from Hobbies. First for their own enjoyment, later for their children and grandchildren. When our friend Bert Parker from Cape Town realised that J H Skinner was Anne’s Great Grandfather he gave her his A 1 Hobbies treadle fretsaw, made in the early 1920s, now retired but still in working order in the work(ing) shop at the Natural Edge in Scarab Village. Please feel free to pop in to see this interesting little piece of history.